Why do companies spend millions of dollars per second advertising during the Super Bowl? Because, as much as we may not like to believe it, direct advertising works in shaping people´s needs, wants, and product preferences. While children and adolescents may not always watch the Super Bowl, they are the population most susceptible to the effects of direct advertising. 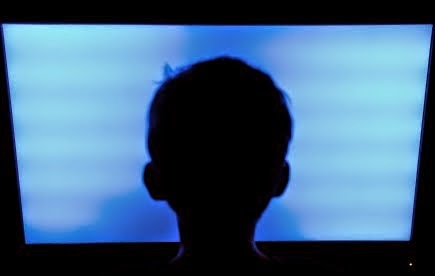 This is likely because children and adolescents are still developing their senses of reality, identity, and morality, have limited life experiences and lack the skills or the developmental level to analyze the barrage of advertisements they are exposed to. All of these factors make the promise of happiness coming from a happy meal seem more plausible to a child. I recently saw a story on CNN about the effects of an advertising campaign on the cigarette brand preferences of underage girls. The print ad in question paired lipstick, high heels, jewelry, fancy dresses and neon lights with a particular brand of cigarettes. After this ad ran in Vogue and Glamour magazine for a year, the percentage of underage girls that preferred this brand of cigarettes increased from 10% to 22%. Experts also estimated that this advertisement was likely responsible for influencing 174,000 underage girls to start smoking. Seeing the results of this study, it is clear that in order for our children to remain healthy, happy, and safe, we must educate them on how to interpret and critically analyze media advertising. Media can affect a number of behaviors in addition to those related to shopping. Numerous studies over the past 40 years have shown that exposure to dramatized violence leads to increased aggressive behavior. The evidence shows that the younger the child is when exposed and the more real the violence is, the more it will affect the child. Studies have been conducted for many forms of media, including TV, movies, and video games. Studies have also shown protective effects of counseling children regarding alternatives to the violence that they watched. I recently wrote a blog on the topic of cybersafety for kids where I highlighted the value of communication, regular monitoring, and limiting the amount and types of internet access that a child is exposed to based on age and maturity. Well, the same rules should generally apply for other types of media such as TV, video games, movies, and magazines. In fact, all of these media are also readily available on the internet. Media education and exposing our children to appropriate media are critical aspects to parenting. Doing so will allow your children to critically analyze what they are being exposed to. If you would like to learn more about media education or how to educate your kids you can go to Canada´s advanced media education program which provides more information. You can also direct your children to go to PBS´ media website to educate themselves.